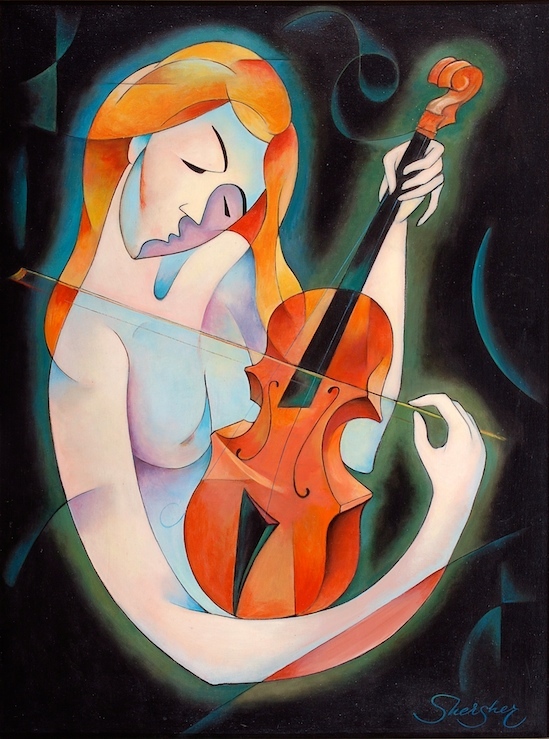 “I want people to hear the music in my paintings,” says Zinovy Shersher, award-winning Soviet painter, entertainer and composer, living in the United States since 1980, who was the first fine artist to combine the passion and mystery of music and art. His distinctive style genius is a mystical amalgam of spirituality, sensuality, and passion. 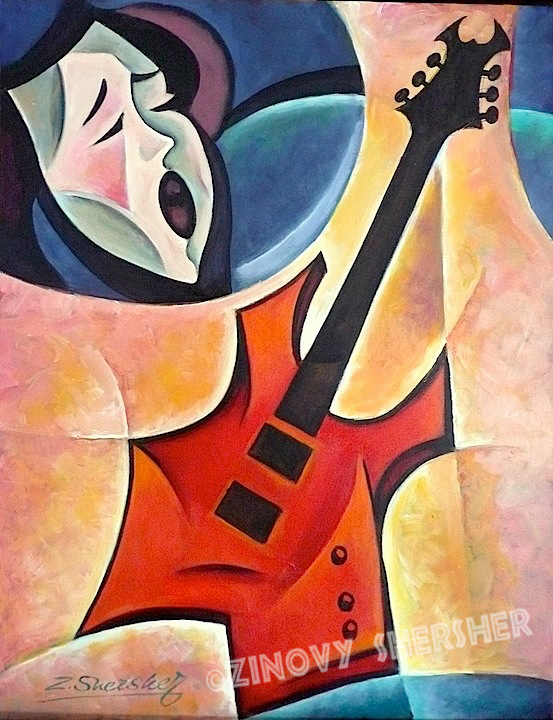 Shersher has a numerous awards as an artist and a musician including The Oil Pastel Association and Akademia Awards. More than 100 articles, TV and Radio interviews have been devoted to Zinovy. His biography is in the “Encyclopedia of Living Artists in America”, “Who’s Who in Art” and “Who’s Who in the West”. Zinovy’s sold out one man shows and performances in America and Europe are one of a kind as he creates a symbiosis between art and music. Here are few examples of his music theme art.